Did you know that there has been a steady increase in the occurrence of dryer fires over the last decade? For the sake of “convenience, some dryers that are placed in new homes are placed far inside the home away from exterior walls. Having the dryer this far inside of the house means it truly needs to be vented to the exterior of the home – which means long runs for the dryer vents were required. The long dryer vent runs create several problems that were not really thought through. First is the obvious reason, the buildup of dryer lint. Pull the lint screen from your clothes dryer and seen how small the holes actually are you might get an idea of how this stuff can build up quickly. When we dry our clothes small fibers come off of them and flow through the dryer of which some are caught on the lint screen. However, the lint screen only catches approximately 40% to 60% of the lint leaving the rest to flow out of the dryer into the vent system. These tiny particles of fiber start drying out as soon as they leave our clothes and once dry float on the air system until they are either blow out of the house or land somewhere inside of the vent usually bonding with more lint. With the hot moist air from the dryer, the lint starts to gather at certain places inside the vent and build up forms and puts restrictions on the air flow. Preventing a big cause of household fires: Dryer fires are on the rise and should be addressed by homeowners. The removal of lint and a properly vented clothes dryer can remove this threat to our families and homes. Reducing our energy bills: Clothes dryers are energy hogs. As our clothes start taking longer to dry due to the build up of lint or a restriction in the vent line, the dryer starts working harder to get the clothes dry. We get gradually get used to running the dryer two to three times as long as it should. Reduced drying times: A full load of washing should only take maybe 50 minutes to dry. Usually most should dry in about 30 minutes, but each vent, dryer, and home are different so drying times do vary. However, after having your dryer vent cleaned, you should notice a noticeable reduction in your drying time. You won’t be wasting hours waiting for the clothes to dry. Depending on the washing cycle you use, most find that the clothes are dry before the next load of washing is completed. Reduced maintenance calls: Once the dryer vent is cleaned and the dryer can “breath” again it works quicker and more efficiently. One of the main causes of breakdown is overheating which damages many of the sensors on new dryers and causes every dryer to wear down quickly. Dryer belts, heating coils, sensors, and the other components of your dryer are not made to run continuously for long periods of time. Prevent carbon monoxide (CO) poisoning: Gas clothes dryers are great and dry clothes quickly while saving money by using natural gas. However, like our hot water heaters, they will emit CO into the home if not properly vented. Properly vented does not just mean to ensure your dryer vent is cleaned but also the dryer hose should be inspected. We recommend only metal dryer hoses, also called transitions vents for every dryer. 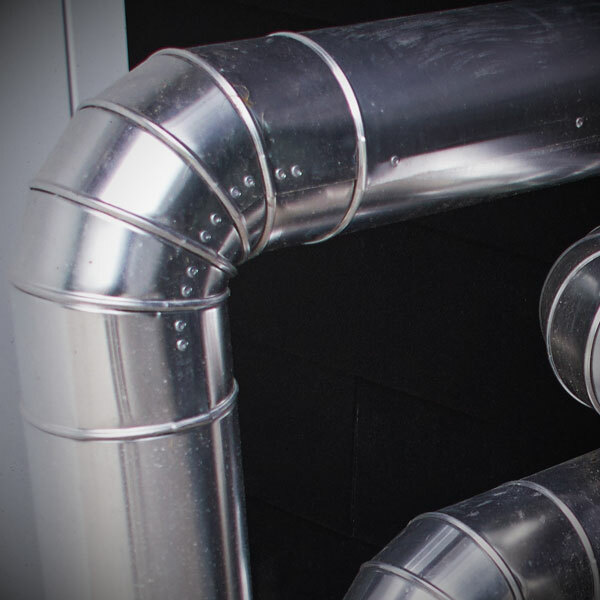 Besides allowing for proper air flow, when correctly fitted the metal vent is there to protect your home. Another safety aspect we suggest is the fitting of a combination CO/Fire alarm in the laundry room as well as ensuring a well-charged fire extinguisher is available. Preventing water damage: You might wonder why there is water on the floor behind the dryer or you see damage in the ceiling. Sometimes water is actually dripping through the ceiling causing further damage to the home. 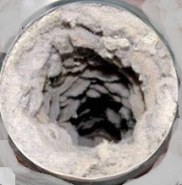 This happens when the dryer vent is clogged or very restricted and the moisture from the dryer cannot escape. The dryer vent is designed to carry “air” and water will start pooling at any low spots and seeping through the seams of the vent. The water damage usually goes unnoticed for some time until the ceiling is saturated and must be replaced or at least repainted. Not fun! But, don’t fret… simply give us a call today, and we can come inspect all of these issues for you – and even perform a thorough cleaning of your dryer vent: call us!